I totally agree with this quote, simply because in the right hands the use of leverage can dramatically increase returns, while in the wrong hands it can have a devastating effect. Remember, high reward goes hand in hand with high risk and leverage trading, which is utilized in the Foreign Exchange Market or Forex, as it is known and Contracts for Difference (CFD) is a very risky strategy to apply in your trading if you do not have the right knowledge and experience. So what exactly is leverage trading? Leverage trading, which is also known as margin trading, margin finance or trading on margin, allows you to open a trading position with a broker using a small amount of capital in order to take a much larger position in the market. For example, if you have a $1,000 you can leverage your trading position up to 100 times or more. So if you leveraged at 100 to 1, you would be exposing yourself to managing a position of $100,000 in the market. When trading on margin, the margin itself is typically expressed as a percentage of the total position size. For example, forex brokers will say they require 1 per cent, 0.5 per cent or 0.25 per cent, which allows you to calculate the maximum leverage you will be exposing yourself to when opening a trade. So if you put up $1,000 and decide to open a leveraged position on 0.5 per cent, your exposure in the market would be $200,000. Obviously, you don’t need to be a math genius to see that this has the potential to make or break you very quickly. Leverage trading has become an extremely attractive option for investors given that it allows them to fast track their potential returns. But the downside risk is, as Buffett alluded to, it is those who are uneducated in trading these markets that can least afford to go down this path. Unfortunately, it is the individuals with little capital and knowledge who are attracted to these highly leveraged markets because they believe they will become much wealthier in a shorter period of time than from any other method of trading. 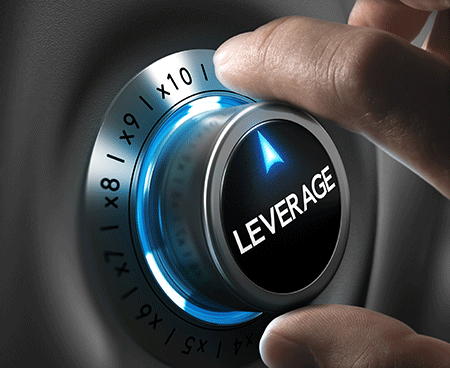 Just google leverage trading and you will see an overwhelming number of websites that cater to this way of thinking. However, it is important to understand, if you want to succeed in trading over the longer term, that the number one rule in any market is the higher the risk, the greater the level of knowledge and experience required to manage the risk. So let’s take a look at the pros and cons of including leverage trading in your overall investment strategy. As I have already alluded to, one of the advantages of leverage trading is that it provides you with access to additional funds because you are borrowing money from the broker to gain more exposure to the market than you otherwise would. As you are exposed to a larger position in the market, you have the opportunity to magnify your returns. For example, let’s say you decide to enter into a forex currency trade on the AUD/USD dollar because you believe the Australian dollar will fall in value against the US dollar. Now let’s assume you decide to trade $500 on margin at 0.5 per cent, your exposure in the market would be $100,000. So you are now controlling a $100,000 trade using only $500 of your own money. Now let’s assume you were right in your assumption about the Australian dollar falling, so your $100,000 is now worth $102,000. Therefore, if you decide to exit your position, you will have made $2,000 on an investment (before costs) using $500 of your own money. That’s a gain of 400 per cent. Obviously, you can see that the use of leveraging will dramatically increase your profitability as a trader. However, there are always two sides to a story and you need to consider the risks as margin trading can backfire on you pretty quickly if you get your analysis wrong. The disadvantages of leverage trading? Just as leveraging can magnify your profits, it can also magnify your losses. Let’s continue with the previous scenario but let’s say that instead of the Australian dollar falling, it rises against the US dollar. So you now find that your open position is sitting at $98,000 or a loss of $2,000 on your initial exposure of $100,000, which means you are down 400 per cent. So not only have you lost your initial capital of $500 but you are now required to cough up an additional $1,500, as the broker will have made a margin call on your account to cover the losses. In fact, Forex brokers will require you to maintain a certain amount in your brokerage account to cover margin calls in the event a trade goes against you. 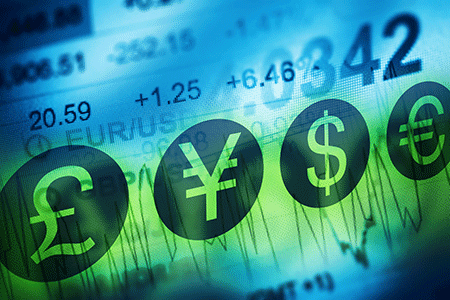 You also need to be aware that when you open a Forex or CFD trading account, you will be required to sign documents that state the broker has the right to recover any losses from you if they exceed the money in your account. And I am aware of some pretty horrific stories where individuals have lost substantial amounts when trading these markets that have cost them their savings and sometimes their house. It is for this reason, why it is vital that you acquire the right knowledge and experience to learn to trade stocks before you decide to trade these markets because as I have mentioned many times before, your education will cost you one way or another. Do you know that 90 per cent of individuals who trade these markets end up broke or, at best, break even? Furthermore, the lifespan of most traders who trade highly leveraged markets is measured in weeks and months. This is why there is so much marketing hype with the promise of riches around leverage trading because the brokers need to continue to entice new people to take up the challenge. I know some of you won’t hear this message until you actually experience it but the statistics don’t lie. We all know there is no such thing as “get rich quick”, yet so many are attracted by this hype. But what if you could “get rich slowly”? Well that is what I am proposing when I tell you to get a proper education because it will repay you in spades. In fact, one of the strategies I teach my clients as part of my four golden rules to investing in shares is to never invest all of your money in trading short-term, highly leveraged markets. Instead, you should allocate 90 per cent into a medium to long term portfolio and invest the remaining 10 per cent in leveraged markets. The trick with this strategy is to have the 10 per cent allocated to trading short term highly leveraged markets achieve equal or better returns when compared to the other 90 per cent. 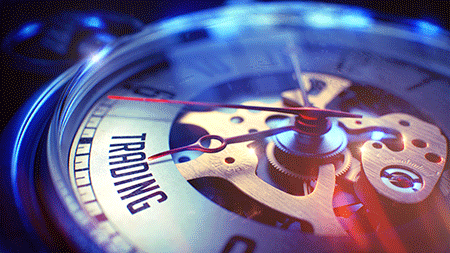 This strategy is not only very achievable, but more importantly, very repeatable when you have gained the required knowledge and skill to trade highly leveraged markets. I outline this strategy in detail in my latest book, Accelerate Your Wealth, It’s Your Money, Your Choice, which is available to purchase online and at all good book stores. I can categorically say, if you follow my advice, you can become one of the 10 per cent that consistently makes money in the markets. So there you have it, the pros and cons of leverage trading. Now let’s get into this week’s stocks. Watch the video to find out more.